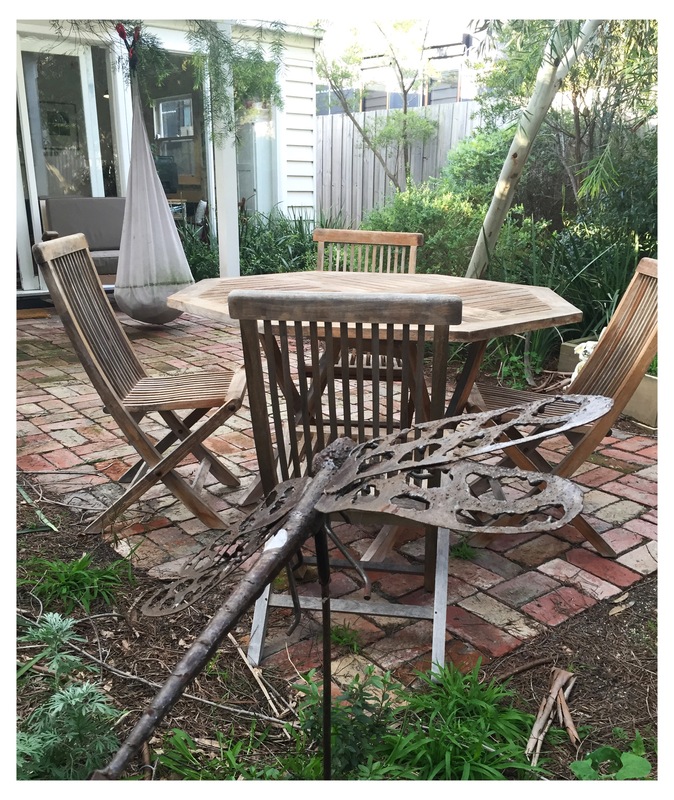 We found Elise’s teak outdoor table in hard rubbish. Back in the days when Boroondara had hard rubbish (the glory days). I recall driving home with it and a similar teak table for my friend Myf on the roof of my car. 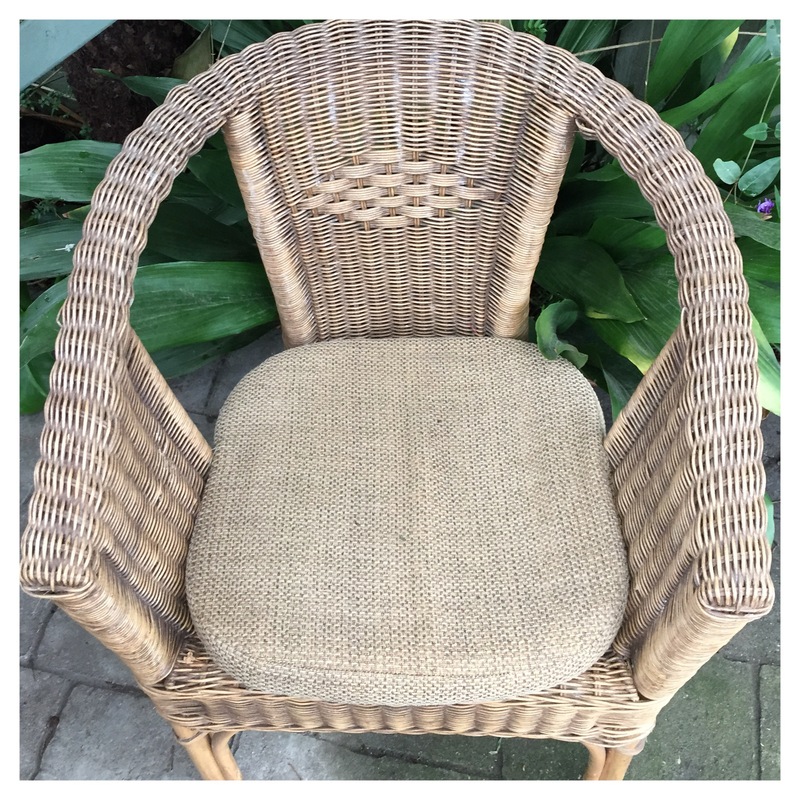 And then Elise found teak chairs on EBay. 10 for $100 from Clifton Hill. She kept 6 and gave 4 to Nick’s brother (I think). 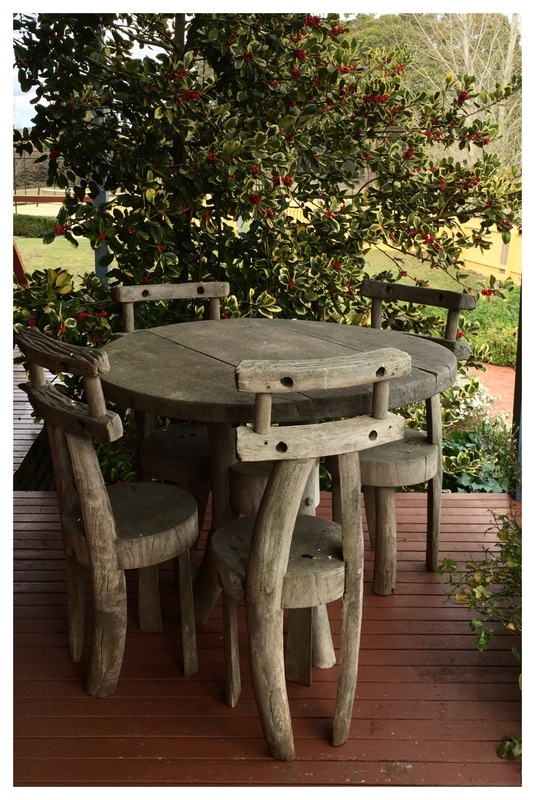 But last week she found a newer looking teak outdoor setting on EBay, just in Coburg. And upgraded for just $60 or something crazy like that. That’s a pretty great price for a teak octagonal table and four chairs don’t you think? The lesson, buy off-season on EBay. You might pick up a bargain like this too. I haven’t done a found for awhile … But I found these cushions at hard rubbish two years ago and never really settled on a place for them. So at hard rubbish this year I decided I’d recycle them back on to the street for someone else to use. However mum saw them and said she liked them. And so they went to her house. And now they are on her cane chairs outside. I had four cushions and she has four chairs … and so that’s perfect. They look amazingly good. I think anyway. Cheers! On our holiday at Lawson Lodge in Macedon I am enjoying tennis, spas, fishing and golf. 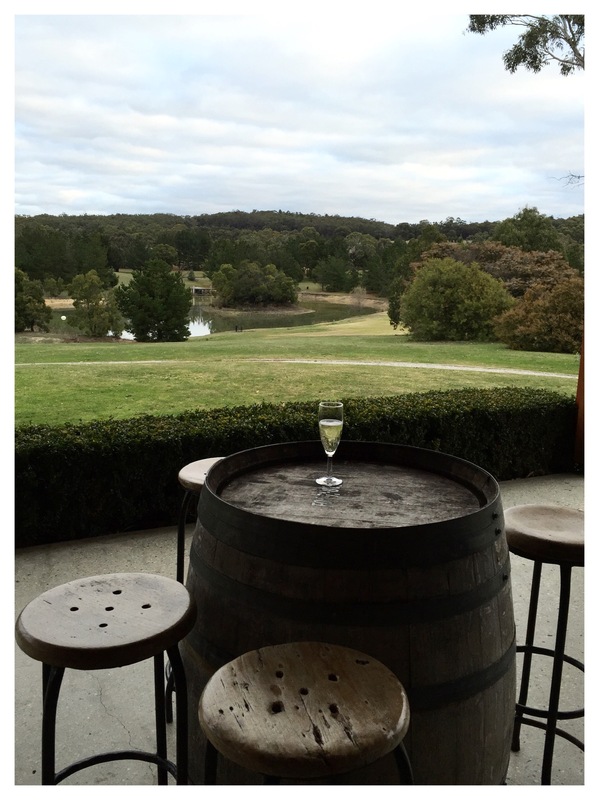 Here’s the view from the clubhouse over the property – note the recycled wine barrel tables and timber stools. Nice. And there are some lovely recycled timber seats on the verandah of our house. See? And check out the 32 seat cinema. The seats came from Camberwell Town Hall. We got up and watched the Matilda’s at 6am Sunday in there. 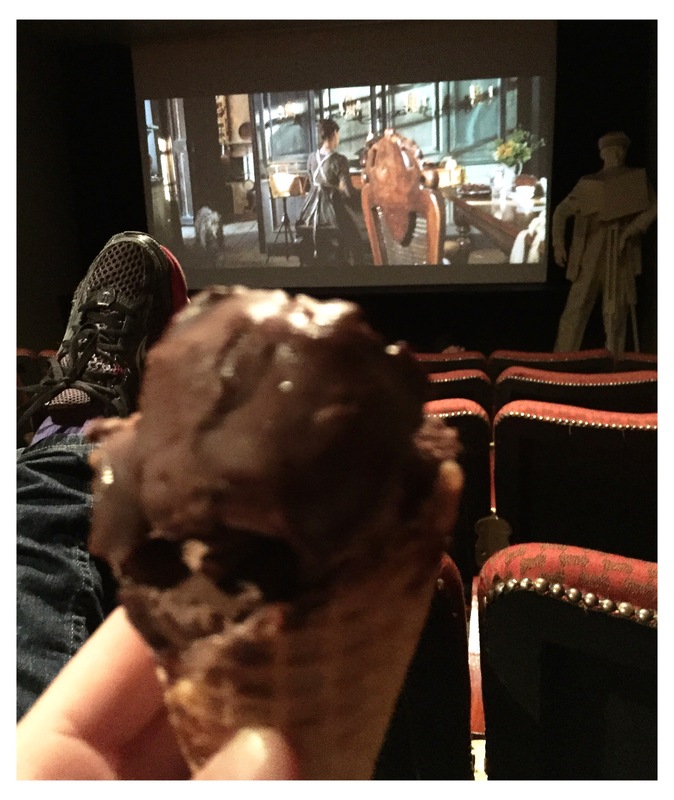 And then ate Mum’s home made choc tops (definitely the best ever) and watched Pride and Prejudice (with Kiera Knightly) last night.